Rocket (aka WheelersRedRocket) is already neutered, house-trained, purebred, up to date with shots, good with dogs, and good with cats. ROCKET HAS FOUND HIS FOREVER HOME. Rocket came to KyG at 4 years old. 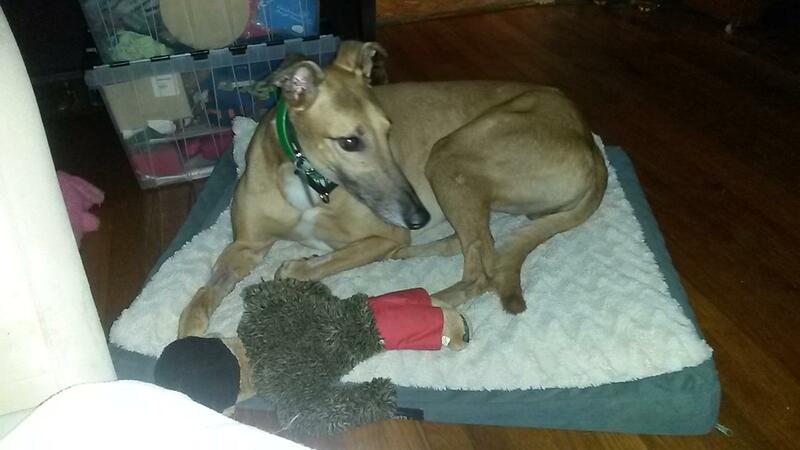 He is cat safe and is living in a volunteer caregiver's home where she lives with 1 greyhound and 2 cats who are teaching Rocket to be the retired racer he was destined to be.